As an author and reviewer of books, I often track sales of books that I have reviewed or read. I’m always looking for creative ways to market my own books. One thing I learned from marketing my own books is that the end user (the reader) could care less who published a particular book. Readers are interested in content. That’s why they buy books. No one has ever gone into a bookstore and asked for the latest Random House release. Unfortunately, the only books that garner media attention and reviews are books from mainstream publishers. Those books have a huge advantage over independently published books like mine. They get reviews in major publications. They get picked up by libraries across the country. They get thousands of dollars of free exposure. But what happens after that initial exposure is gone? Do publishers put as much effort into marketing as they do during the initial launch? The answer is an unequivocal no. A while back I reviewed the book Dateline Purgatory by Kathy Cruz. I gave the book four out of five stars, which was enough to make my best of EverythingNonfiction.com end of year roundup. You can read the full review here. The book tells the true story of Darlie Routier, who is currently sitting on death row. 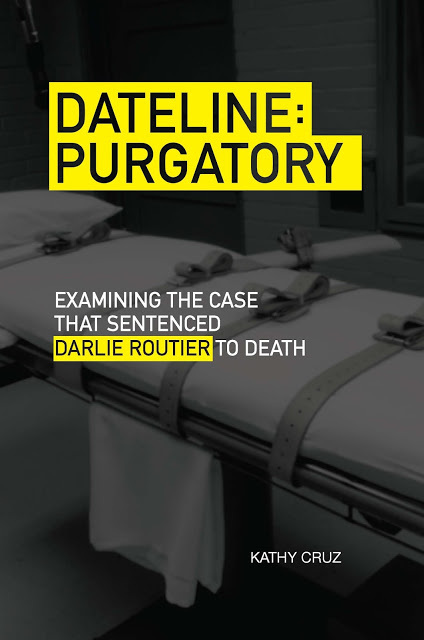 The book presented a strong case that Darlie was wrongfully convicted. The book was published by Texas Christian University Press in April of 2015. Not exactly a major publisher, but mainstream enough that it qualifies as a traditionally published book. Kathy had a great book to sell. But her publisher did little to nothing to help sell the book. First there is the awful title Dateline Purgatory. 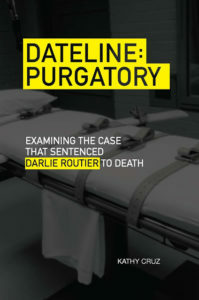 The book did have a subtitle that explained what the book was about – Examining the Case that Sent Darlie Routier to Death. Sorry, but even with the addition of the subtitle it is a lousy title. So was Darlie put to death? Was this also a Dateline episode? Then there is the uninspired book cover. I’m no expert on book covers, but I’m not feeling this cover. I’m guessing the book still did okay on it’s initial launch. Kathy is an award winning journalist, and she got a lot of local exposure. I believe the initial price for the eBook was $12.99. That’s an okay price for a new book. The book was also released as a paperback for $22.95. That is way too high for a paperback, and the sales reflected that high price. There was no audiobook. The cost for doing an audiobook today is half of what it cost just a few years ago. There is absolutely no excuse for a publisher to not also release an audio download. Those are lost sales. Fast forward to June 2018. After her book came out, Kathy participated in several high profile documentaries about Darlie’s case. She was interviewed for the CNN series Death Row Stories. She was also interviewed for the recent ABC docuseries The Last Defense. You can’t but exposure like that. You would think that Kathy’s book has been flying off the shelf. Not so. Today on Amazon the Kindle version, which has been reduced to $9.99, is ranked at 220,000. The paperback sits at 718,000. For those not familiar with Amazon rankings, the lower the ranking the more sales. A book with a sales ranking below say 10,000 is doing good. A book with a ranking under 1,000 is doing really good. The Amazon ranking is not a fair indication of overall sales. There are sales from other channels and many of the books with rankings under 10,000 are priced very low, as low as .99 cents. But it does provide some insight as to how well or how poorly a book is doing. So, what happened? Why hasn’t Kathy benefited from all of this high profile exposure? I watched The Last Defense. It was well done. As far as I am concerned, I have no doubt that Darlie Routier was wrongfully convicted. I thought Kathy did a great job in her interviews. I don’t remember seeing anything, however, that connected Kathy to her book. There might have been. But I don’t remember seeing it. So even though she was interviewed for a documentary that aired on ABC, there was no way for anyone to know that she authored a book on the subject. How hard would it have been for the producers to put “Author of the book Dateline Purgatory” under her name a few times when she appeared on camera? Now this is where the publisher really failed Kathy. Even knowing that this documentary was going to air, the publisher let the print version go out of print. They eventually did a reprint, but it was too little too late. They also kept the prices too high to capitalize on the exposure. The paperback is still selling for $22.95. The eBook is $9.99. They still don’t have an audiobook. If I were Kathy, I would be screaming at my publisher. I decided to write this case study on how not to market a book because I know there is a demand for Kathy’s book. How do I know that? Remember the review I wrote back when the book first came out. Ever since The Last Defense aired, that review has been getting tons of hits. There have been over a hundred hits in just the last two days. People are looking for more information about Darlie. A large portion of the hits on that post came from Facebook, where I have a dedicated Facebook page for EverythingNonfiction.com. I don’t know what Kathy received as an advance on her book. Somewhere between $3,000 to $5,000 is my guess. I’m also guessing that she has seen very little in the way of royalties. That’s no excuse, however, for not doing more. Even with all of the recent exposure, the Facebook page for the book has not had a post since 2015. The author doesn’t have a website. Now who’s fault is that?